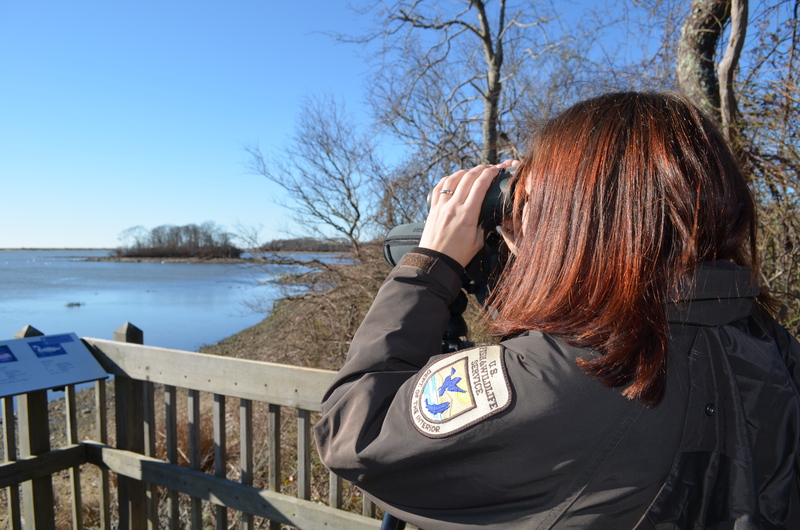 Wildlife biologist Rhonda Smith uses binoculars to assess bird species at Trustom Pond National Wildlife Refuge. Working to conserve, protect and enhance the fish, wildlife and their habitats for the continuing benefit of the American people is a pretty big job. That’s why the U.S. Fish and Wildlife Service works closely with other federal agencies, states and non-governmental organizations. With the help of the Science Applications program, the Northeast Region has been working hard to integrate our scientific framework with the work in the region that is already underway, establish the North Atlantic and Appalachian LCC, connect programs through the Conservation Science Team and shared science and collaborative planning, and provide support for science excellence, including peer review. During the month of February, our blog will highlight some of the folks working in and with the Science Applications program. The program is helping to connect the Service’s scientific and partnership efforts with conservation actions so that the fish, wildlife and habitats that make up the Northeast landscape will be around for many generations, and memories, to come. An introduction to the series from Megan Nagel, the Science Applications communications coordinator. Viewing conservation through a wider lens: Hear from Ken Elowe, assistant regional director of the Science Applications program discuss how a holistic approach to conservation is our best hope for fish and wildlife in the Northeast. Teaming up for conservation: Hear Randy Dettmers, senior migratory bird biologist, discuss the benefits of teaming up for science driven and strategic conservation that is benefitting neotropical migratory birds, the landscapes they depend on and other species. The road to the Appalachian LCC: Hear Jean Brennan, coordinator for the Appalachian LCC, tell the story of her conservation journey and why she thinks landscape conservation is our best hope to achieve conservation, maintain the resilience of natural systems and maintain the benefits of nature. Linking science to conservation: Hear Andrew Milliken, coordinator for the North Atlantic LCC, discuss his lifelong passion for conservation and the LCC partners’ work to link science and conservation. All models are wrong, but some are useful: Hear from Dr. Kevin McGarigal, University of Massachusetts Amherst, as he outlines how the North Atlantic LCC and UMass Amherst are working to develop a useful model that will forecast urban growth, climate change and the way ecosystems are changing and the consequences of those changes to fish and wildlife in the Northeast. “Meat fisherman” — it’s a label Chesapeake Bay coordinator Mike Slattery once wore with unabashed pride. He shares the experiences that have shaped him and driven his efforts to preserve wild things and places. 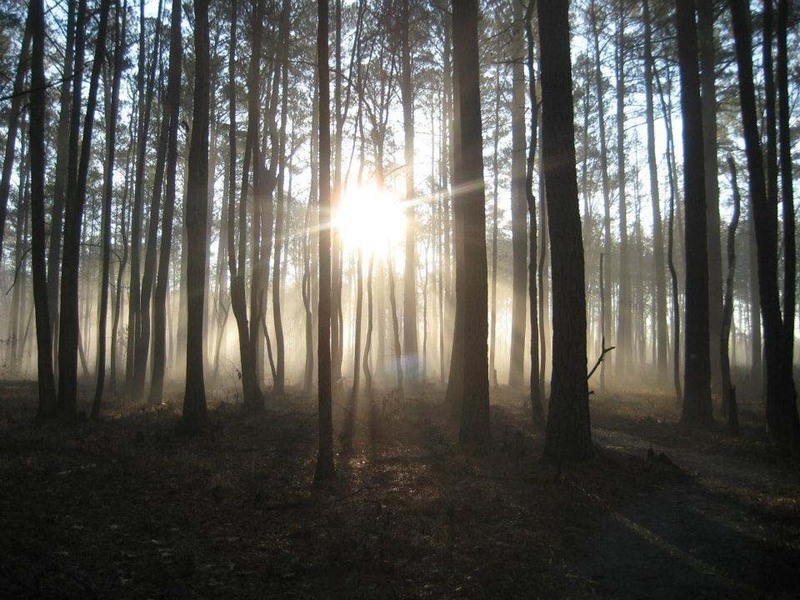 This entry was posted in Partnerships, Science and research and tagged landscape, lcc, partnerships, research, science, science applications on February 8, 2013 by usfwsnortheastblog.